Severed might just be the best implementation of cutting I’ve seen in a game so far. Then again, I have zero experience with this type of game in the mobile scene, but as it stands, Severed is impressive enough just for how far it takes the concept of slashing with its surprisingly deep gameplay, cooky visuals and dark story. What started out as a Vita exclusive and was later ported to iOS feels right at home on the WiiU, given that it’s now possible to use a stylus. The stylus basically rids the game of the problems that come with the intense use of touch controls on a small screen, that is, having your view obstructed by your hand and lack of precision. And while the game certainly makes concessions for making it possible to play with your fingers, it feels much tighter and more comfortable with a stylus. It all begins as the protagonist, Sasha, wakes up at what apparently seems to be a twisted version of her home after an attack that robbed her of her family and an arm. Pushed forward by a mysterious figure, Sasha’s given a sword and is told that her family’s been taken away to somewhere in the underworld she’s now trapped in. 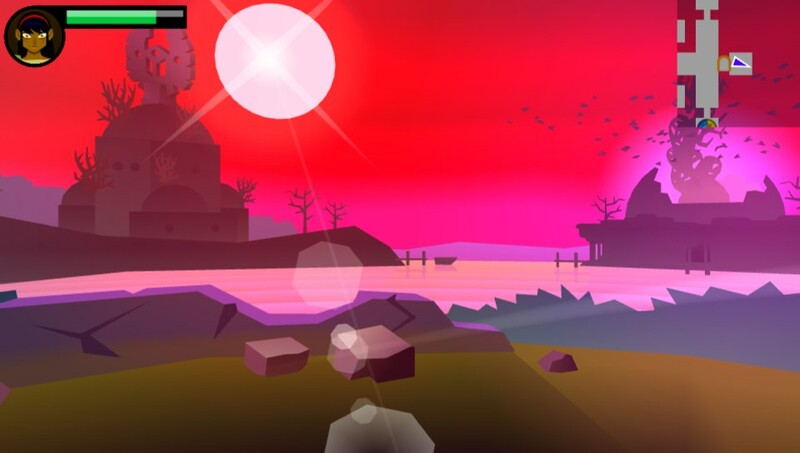 Severed is played from a first-person perspective, and movement is entirely grid based. Each room is a square on the map, with four possible exits. Moving around feels incredibly old-school, thanks to the paused room to room transitions and limited way you can examine spaces by rotating on a 360 axis. Exploration is pretty much the usual affair of finding keys, turning switches, solving puzzles and using stairs, but it’s the combat that really sets Severed apart. Sasha is usually outnumbered by monsters, so you have to keep their attack timers that are displayed at the bottom of the screen in mind. Some of them can be interrupted by simply slashing at them or by attacking weak spots, while others have to be parried, which is done by slashing against their attacks. 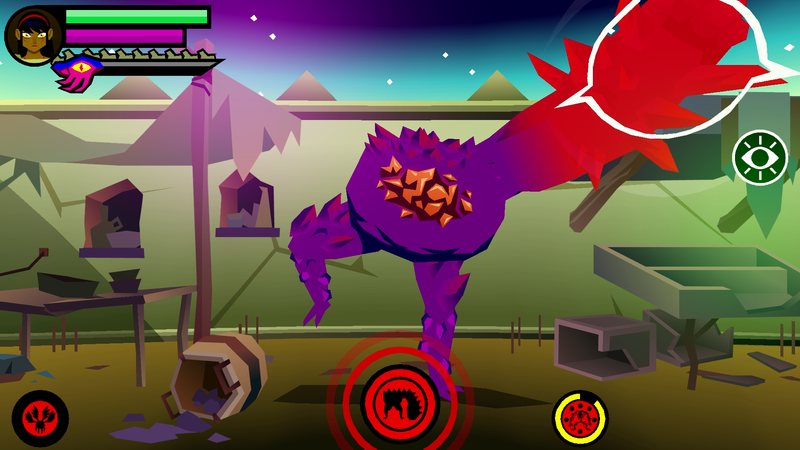 Later on in the game, buffs are introduced, and a certain enemy type starts to show up in order to make his buddies stronger. That adds in another slice of depth to the prioritization you’ll quickly learn to adapt to in combat. You can’t simply kill an enemy at the time and be done with it. By building up Sasha’s focus gauge with each successful attack, you’re able to finish off monsters and harvest their body parts which are used to upgrade her skills. That turns the combat into a strategic dance of keeping incoming attackers at bay while you prioritize who to go for next. Those upgrades are a vital part of surviving in Severed. All sorts monster bits serve as ingredients that help boost Sasha’s skills and stats, such as the amount of damage her slashes do, or how fast her concentration builds up. As new abilities are discovered, more upgrade trees start to show up, requiring newer kinds of materials. It’s a progression system that works extremely well hand-in-hand with the increasing difficulty the further you get in the game. 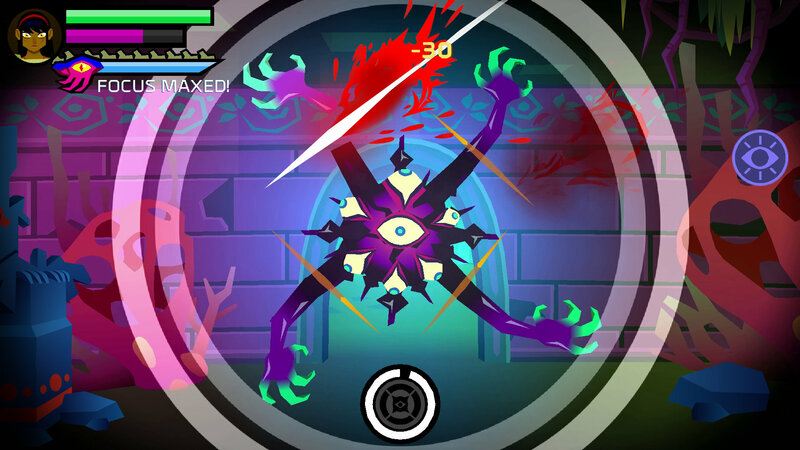 Severed also plays with conventions set by classic games like The Legend of Zelda and Metroid. She can increase the size of her health and mana bars by finding heart and brain pieces, and is able to open up new ways through the map as she acquires new skills from bosses. But unlike Nintendo’s pointy-eared hero, Sasha dines on completed organs in order to absorb them. The items she strips from bosses aren’t limited to simply unlocking new paths, either: for instance, one of them helps you steal some of the aforementioned bonuses from monsters during fights at the expense of a chunk of mana, while another ups Sasha’s attack power for a limited time. All of the pickups feel essential and are extremely satisfying to use, giving you an edge against the increasing amount of obstacles that the game throws in your way. DrinkBox Studios’ incredible art is another great aspect of Severed. Guacamelee was already beautifully macabre, set in the colorful backdrop of Mexican culture, but Severed takes things a few steps farther. Every single map space in the game looks unique, especially outside areas where you can see the sky. For as gloomy as the entirety of the game feels, it’s absolutely gorgeous. Every single character in the game is also thoughtfully designed, down to the enemies which even though are limited to a handful of base archetypes, maintain a degree of visual familiarity among stronger variations found at later points in the game. There are even a few instances throughout Severed where you’ll run into mirrors that show how Sasha’s own design slowly becomes less and less human the more powerful she gets. Severed‘s script, albeit dark in tone, has its share of comedy. Sasha has a few encounters with a particularly talkative bird with which she develops a bizarre relationship throughout the game. And while most of Severed can get downright depressing, it builds to a somewhat satisfying and unexpected conclusion at the end of its eight hour run, which can easily turn into ten or so if you decide to go back and 100% all of the map and secrets. While it certainly took a while for Severed to get to other platforms, there’s props to be given to DrinkBox Studios for going the extra mile. Even though it might be a little too intense to play on a cell phone on the go — seriously, I can’t imagine playing this game on public transportation and not look absolutely insane doing so — it’s fantastic as a sit-down-at-home WiiU gamepad title. Severed is easily one of the most enjoyable touch screen games you’ll ever play.